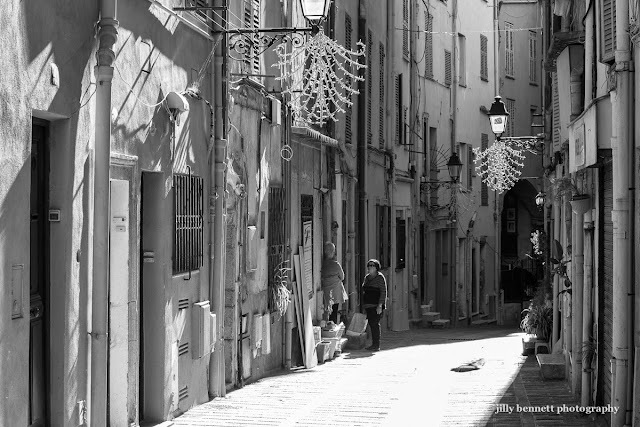 Neighbourliness in Rue Longue in the Old Town of Menton. Voisinage dans la rue Longue dans la vieille ville de Menton. You did an awfully good job balancing the hard sunlight and shadows. The Christmas decorations look out op place in all that brightness.